Valentine’s Day with my husband is a tad tricky - because it’s also his birthday! He’s always super sweet and gets me flowers, but we direct most of our celebration toward the birthday boy. Even though we’re usually blowing out candles around a birthday cake on Valentine’s Day, we’ve gone out a few times in the past right smack dab in the middle of the V-Day rush. I’m not exactly sure of our plans this year, so I’m planning out some outfit ideas from comfy to casual to classy just in case we stay home or decide to have a night out on the town. Disclaimer: I am shopping my closet for Valentine’s Day this year but also including a few suggestions if you feel the itch to shop for something special. I have a feeling that our V-Day this year will land us at home, in comfy clothes with our girls. Scott and I have both been pretty tired, so I think we’ll probably choose to hang out at home versus get all dolled up to go out. These outfits would be great for a night in cooking at home, or better yet…maybe we order take out food! 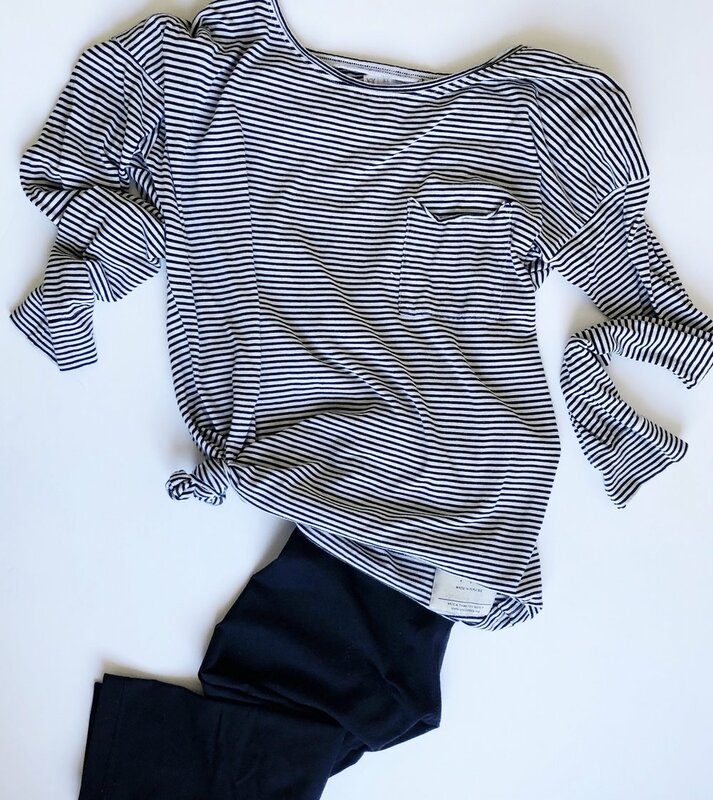 I’m thinking of busting out some yoga pants and a casual striped long-sleeved shirt - “athleisure” if you will. It’s not PJs, and it’s not jeans. 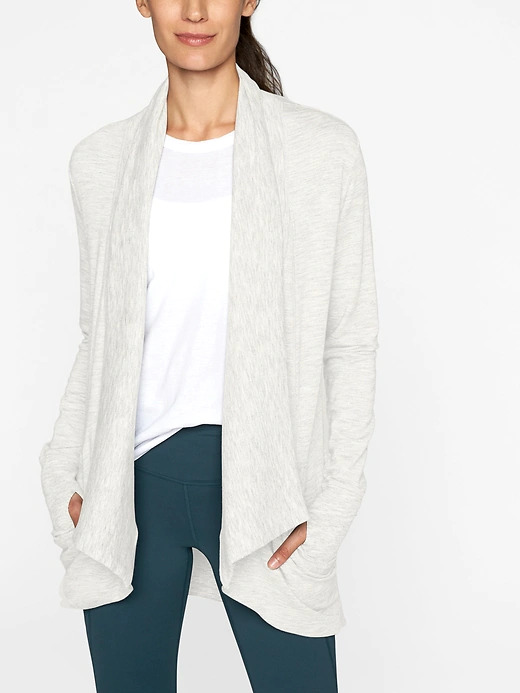 I also love this woven hoodie as a casual option - it’s warm, and I love the colors and print. It may be time for me to invest in some athletic jogger type pants that are a tad more forgiving than tight yoga pants. 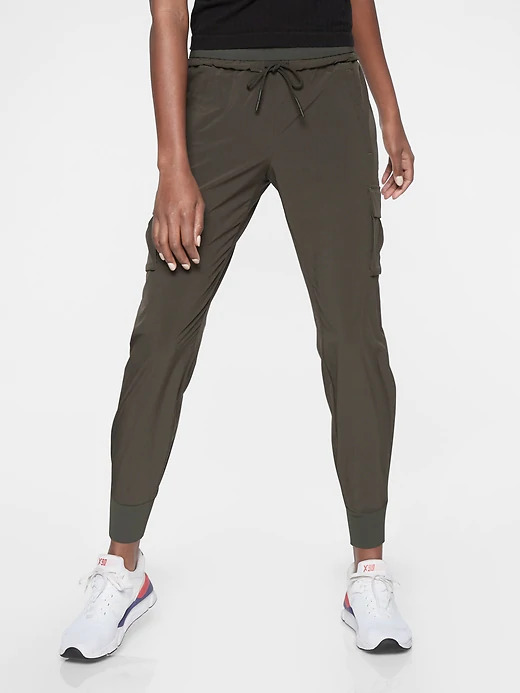 I’m not quite ready to buy some, but I’ve done some looking online and found these Athleta joggers. I think they’d look great with one of these tops. I actually like wearing jeans. They’re like a blank canvas that you can dress up or dress down, and if you find the right pair, they’re comfortable to wear. If you make it out of the house on Valentine’s Day but decided to go somewhere more casual, I’d throw on some fave jeans and a cute sweater top with big earrings. If the heels are too much for your casual, then a wedge bootie or a boot would be great, too. I chose black jeans here with a black top to keep it simple. You can also throw a blue denim jacket on top of the sweater for color and if you need some extra warmth. I found this shirt from one of my favorite brands: Krochet Kids.. It would be super cute with black jeans and a blue denim jacket and some wedge booties! I know I said I’m not shopping for this occasion, but this would be my front runner if I were to buy something. Here’s another find from Krochet Kids that would be perfect with jeans for a night out at a casual restaurant. This one is my favorite, but it’s going to stay parked in my closet this year because we have nowhere to go in this type of ensemble. I took the same crop black sweater top from the casual look and paired it with a black, shiny high-waisted skirt. I found this skirt for maybe $12 at Nordstrom Rack probably 8 years ago, and it’s actually been quite handy. The two different textures - sweater on top of shiny makes me happy, and the high-waist plus crop top combo is cute and flirty. You could also choose a longer blouse or sweat and tuck it in for a different look. Throw on some big earrings, and you’re ready for a night on the town! I love that all of these looks came from my closet and are extremely versatile. It’s fun to go shopping for something new, but I think it can be more fun sometimes to shop your own closet and put together some fun looks you haven’t tried yet. Enjoy V-day with those you love this year. I hope you have a great time, and if you decide to go comfy, casual or classy, you can shop your closet to find the perfect love day outfit.